Happiness, huh, yeah! What is it good for? Who's that? Well, it's your old pal, Enoch, here to tell you that Happy Wars will be coming out April 24th for Xbox One! Now look, I know things haven't been so good between us since I left you to die in that underground Vietnamese lemur fighting ring, but things change, people change! I'm different now. No one's trying to get you to throw down five million Vietnamese dongs on a particularly tough looking lemur named "The Arm Ripper" because their Vietnamese girlfriend was feeling lucky. Not anymore. Listen. Listen to me. 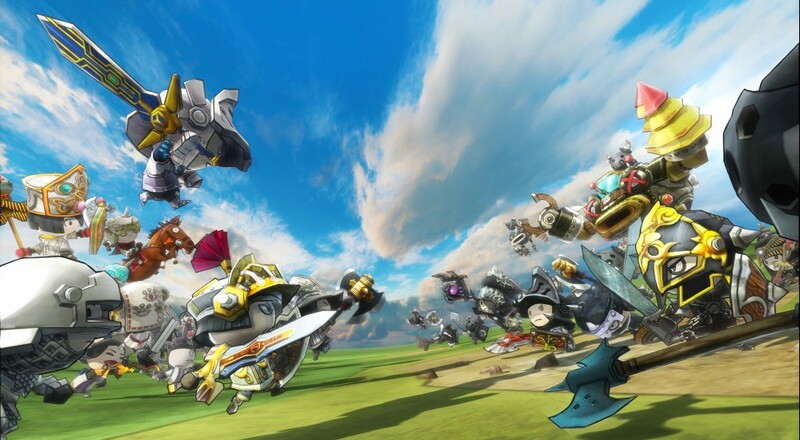 Happy Wars has fifteen player online co-op. Fifteen! Not counting that one time that we were caught up in a Paraguayan turf war, when's the last time you were able to cooperate with that many people towards a common goal? All I'm saying is that you should give it a shot. It'll be out in a couple more days, and it's free. Did I mention that it's free? Look. Let's say that, hypothetically, you played Happy Wars on Xbox 360 a couple years ago. You can transfer all your data from that version to this one using the same Xbox Live account. Doesn't that sound convenient. Isn't that something you'd want? I know you're not gonna let me in your house, so I won't ask, but I assume that you have a kid or two by now. Get this. The Xbox One version of Happy Wars will support four player splitscreen. Wouldn't that be great? You, your kid, your wife, and also me on the same couch enjoying each other's company? I promise I won't even bring up this opportunity we gotta get in on over in Pakistan. Unless you want. Page created in 0.2717 seconds.